An oasis in the middle of Sahara is an apt meaning of a Turkish paradise called Baris. Situated in the local shopping complex of GK 2 , Baris takes you to a mystical land filled with mesmerizing music and aromatic surrounding. Adding a touch of class is the vibrancy of colors that has been used to make you feel like a wanderer yet a calm observer. The restaurant is on the second and third floor. the third floor is usually booked for large gatherings for receptions and parties. the space is beautifully it up in each corner and looks spectacular at night. 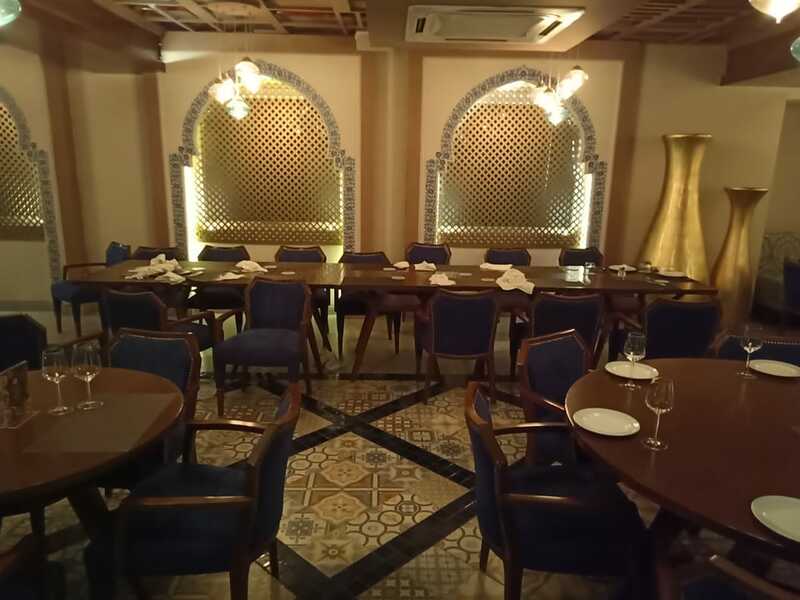 An absolutely amazing treat to the eyes is the wide open space of the restaurant on the second floor that give world class experience to diners. 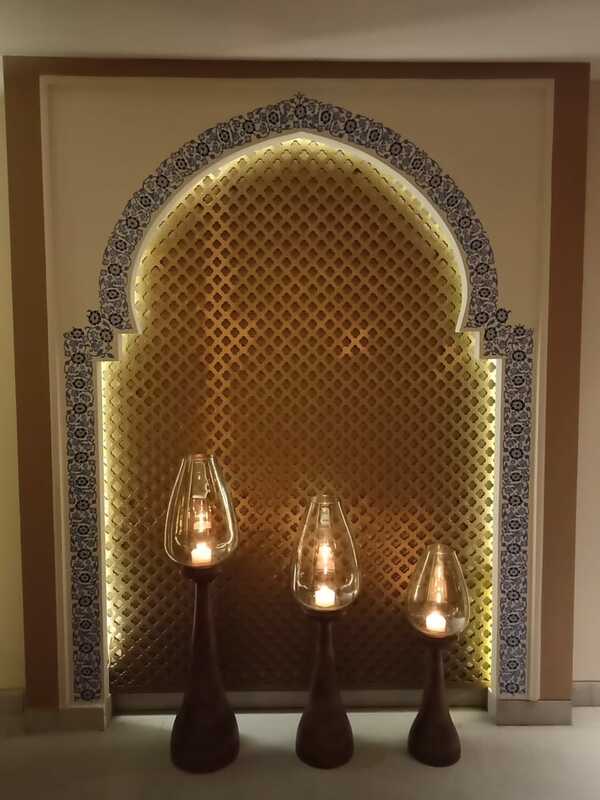 You can make yourself comfortable in the tastefully decorated lounge which has an enormous space and is lit up with subtle lights and classy decor. 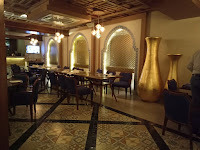 The opulent restaurant has a touch of the Middle East that would whisk you away to Turkey. 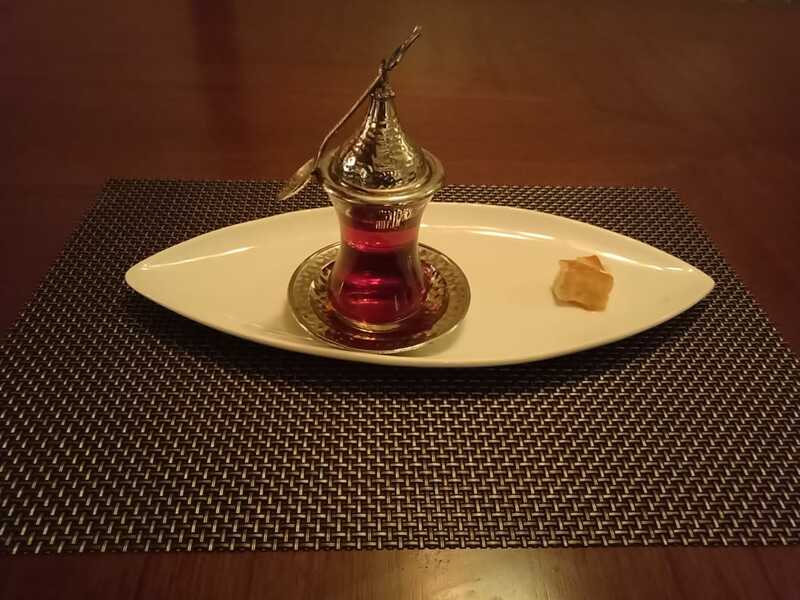 The attendants at Baris makes you feel comfortable and give you a prompt service. You can begin your meal with a platter that is reminiscent of the Turkish land. The Mezze platter comprise of chilled Mezzes with bread that can be devoured without any guilt trip. Hummus is common in Turkey which is served with Bread. 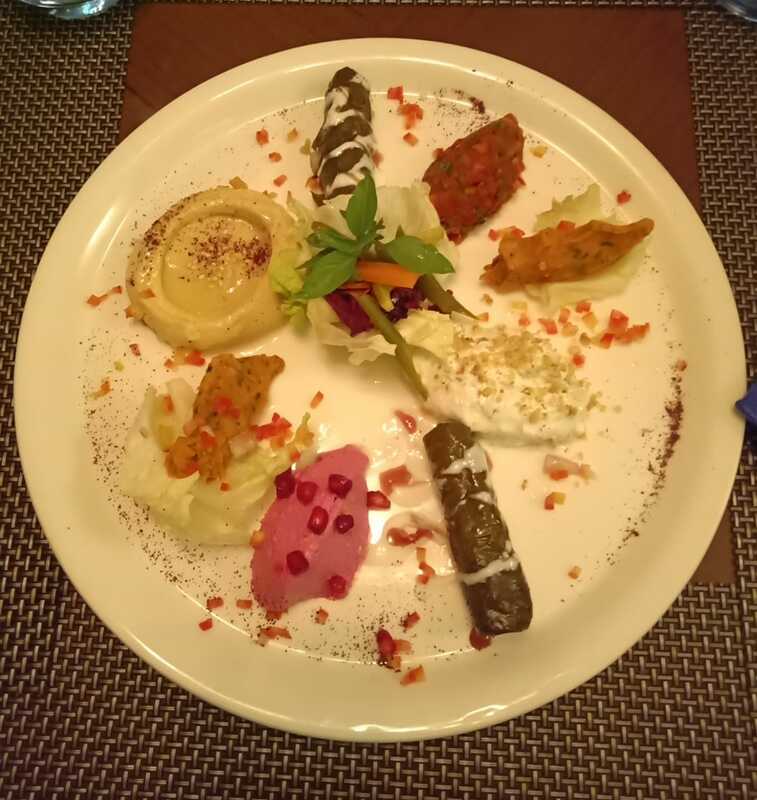 The real achievement of Baris is in being able to walk the fine line between kibbeh and hummus that is worth experiecing, and never seen before items that are common in that region. 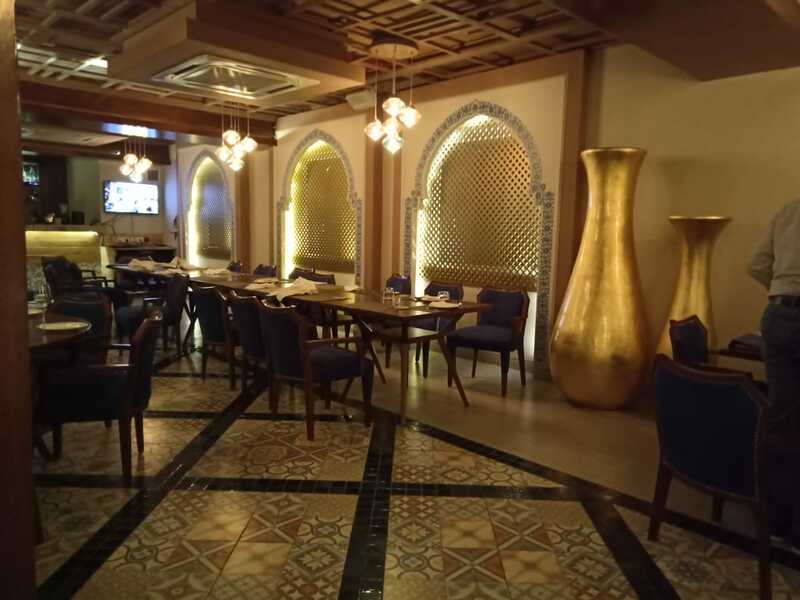 You can begin your tryst with taste by Adana - lamb kebab, Shish Tauk – chicken tikka and Kardes Guvec – prawns in spicy sauce that are best recommended by the owner himself. Extremely nourishing and appetizing, these starters only pave the way asking for more!If you are a squid and prawn lover, you can try the Chakir Kalamar and Kardes Shish. Among the salads, Fatush salad is the most irresistible. Not unlike a regular salad, this onecomprises of fresh vegetbales spruced with seasoned herbs and is packed with flavor. The lamb kebab shows off the talent in the kitchen, displaying the softness and succulent mutton that has obviously been marinated in curd and the result is outstanding. The gentle, subtle flavor of the chicken tikka is delectable to devour. But it was the Kardes Guvec that was the most unusual, served as it was in a skillet. The garlic pods gave it another dimension of taste altogether. Sweet nothings are really something’s to end your extraordinary meal. 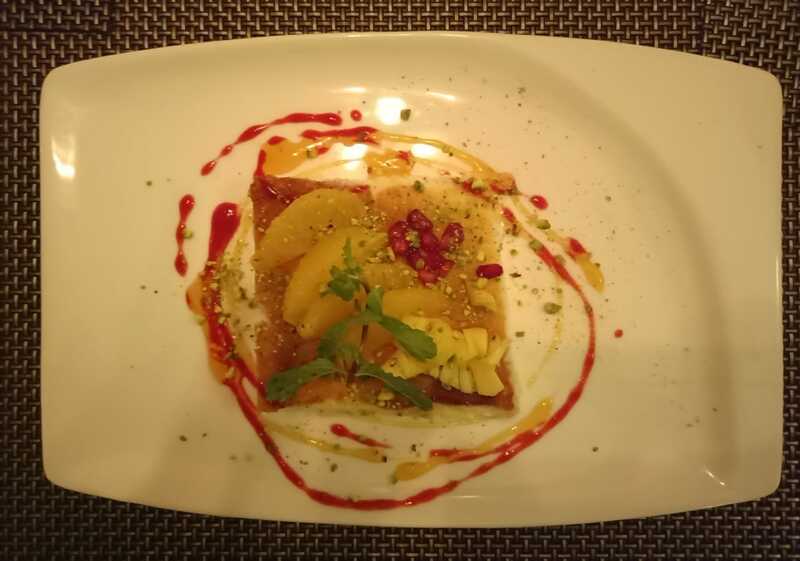 The Khazandibi is prpobably the best dessert reminiscent of Turkey. 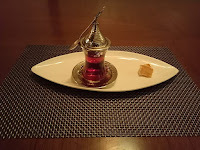 We sealed the meal with a piping hot Turkish tea and coffee and took leave with a fabulous experience. Chai Di Party @ Eros Hotel - High Tea with a difference! Copyright by Travreviews.com, 2014. Powered by Blogger.